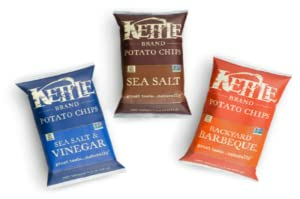 Delivering from the back of a van to the back of, well, many vans, Kettle Chips has evolved from a core of our pure Kettle Chips to an epic line of awesome, mouth-watering flavors. From Pepperoncini to Sriracha, we’ve just gotten started creating bold new flavors. 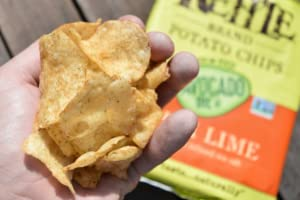 From the back of a van to one of the world’s most unique potato chip brands, Kettle Brand has been dedicated to creating unique, savory, and all-natural chips. Our story doesn’t end with us. Ultimately, our favorite flavors are shaped by Kettle enthusiasts around the world who drive us to be more innovative and natural. We don’t play around when it comes to sourcing our products. No mysterious farms, no international importing, no ambiguity. 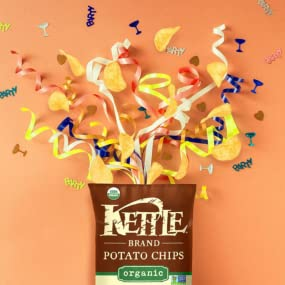 We just pick the best potatoes from around the country and transform them into something beautiful: Kettle Brand Chips. Visit our Tater Tracker at the Kettle Brand website to see where your taters originated. Our start was incredibly humbling, but our journey has been one of bold flavor, innovation, and dedication to the spud game. Brand is the name of the game when creating chips, and we’re in it to win it by honing in on what makes us great; Our promises, our products, and our people. 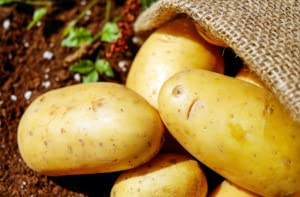 It starts with our potatoes, sourced from organic farms around the United States. Then we slice them with precision and consistency. Consistency is key with Kettle Chips, so that every handful is perfectly balanced. Our secret to the perfect chip is the Kettle worker who puts time and attention into our products.